There’s a bunny at the bar! 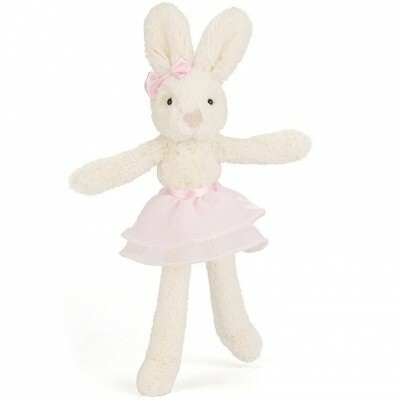 Tutu Lulu Cream and Pink Bunny looks ballet good in her dancing gear! Never mind the Sugar Plum Fairy - she’s a strawberry cream, but twice as sweet. She’s great at leaping but gets dizzy feet, and is always muddling up right and left! She never gives up though - well done Lulu! Time for a post-practice snuggle?